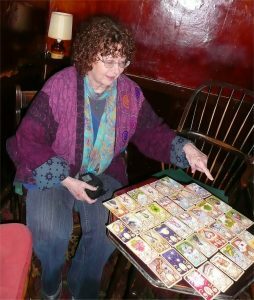 Line-readings: how to develop a story-line in 5 to 9-card linear layouts (including a line of the Grand Tableau). Cross-checking modern or personal meanings with traditional ones for precision and accuracy. Near and Far meanings in a Grand Tableau. Using Houses, both in and out of the Grand Tableau. 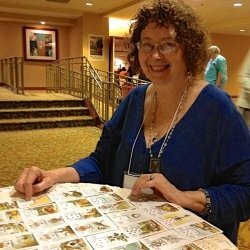 “So, get out your Lenormand decks and join me for two fun-filled, action-packed interactive sessions where you learn how to fine-tune your readings and improve your skills. The live classes were supported by two weeks of online discussion, which are now a valuable learning resource for everyone who purchases the recordings. After your payment has been processed, you will be given access to the online forum where you can see Mary’s comments on homework completed by people in the original recording sessions.